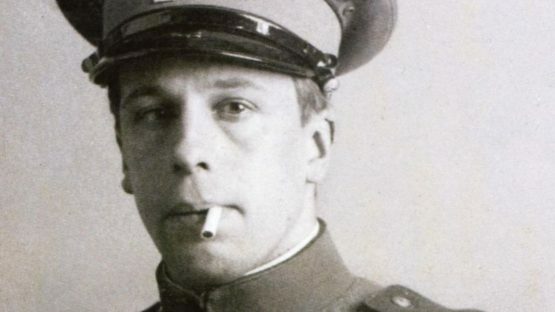 Theo van Doesburg is best known as the founder of the Dutch avant-garde group De Stijl (The Style), but he also worked as a painter, architect, designer and writer. One of Piet Mondrian’s closest colleagues, Theo saw abstraction as art’s apotheosis – after an initial focus on post-impressionist-style paintings, he propelled the development of abstract painting and non-representational art, providing modern movements with the conceptual fire that can still be felt in contemporary art. Like most of his colleagues, van Doesburg as well drew inspiration from Euclidean formalism, primary colors, political radicalism and the blended co-existence between design, architecture and fine art. He was one of the key individuals who nurtured the idea of non-representational painting while the entire concept was in its infancy. Christian Emil Marie Küpper was born on the 30th of August in the year of 1883, in Utrecht, the Netherlands, as the son of the photographer Wilhelm Küpper and Henrietta Catherina Margadant. After a short training in acting and singing, young Christian decided to pursue a career of a full-time painter. He always regarded his stepfather, Theodorus Doesburg, to be his true father, so that’s the reason why Christian’s first works were signed with Theo Doesburg, an alias to which he later added the insertion van. 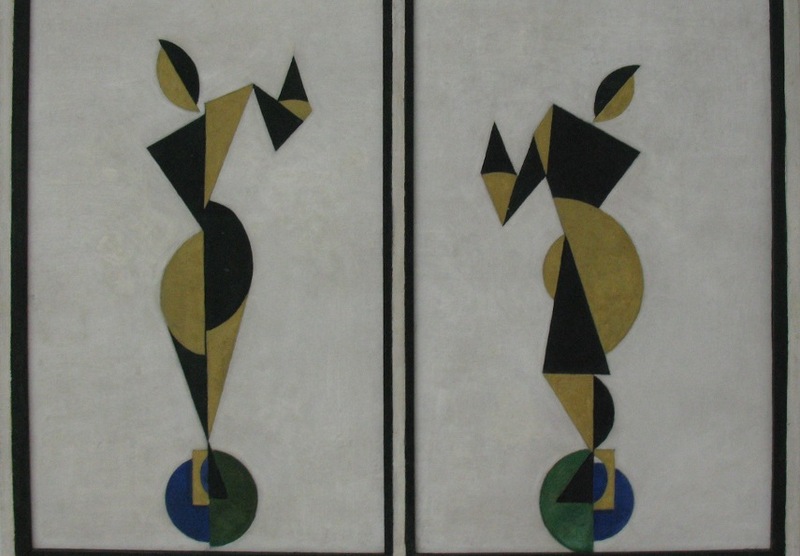 From that point on, Christian Emil Marie Küpper was known as Theo van Doesburg and the occasions on which the artist used his original name became rather scarce. Theo van Doesburg’s first exhibition was held in the year of 1908. Since he did not hit the ground running in terms of success, he was forced to work as a writer in magazines in order to support himself financially. Interestingly, Theo considered himself to be a modern painter although his early work was in line with the Amsterdam Impressionists and is heavily influenced by Vincent van Gogh, both in style and subject matter. This suddenly changed in 1913 after van Doesburg was done reading Wassily Kandinsky‘s Rückblicke – the book made him realize there was a higher, more spiritual level in painting that originates from the mind rather than from everyday life. This, naturally, resulted in a sudden and radical turn towards abstraction. It was during his service in World War II that Theo came in contact with the works of Piet Mondrian, an eight years older artist who already gained some attention with his paintings. 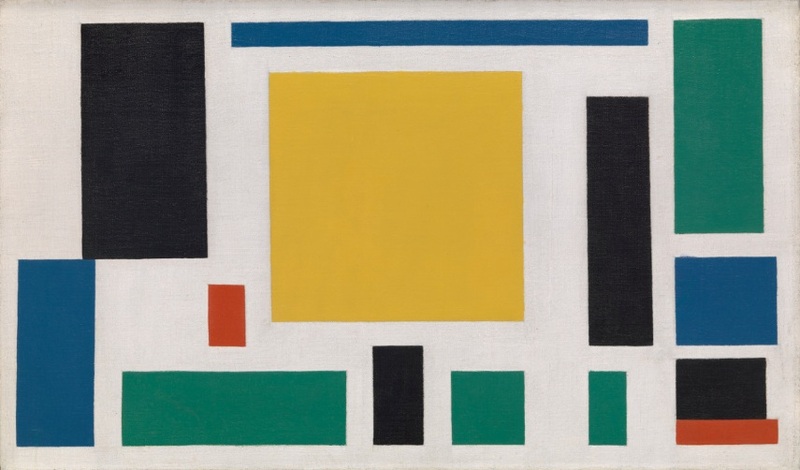 Van Doesburg saw his conceptual ideal in Piet’s paintings – a complete abstraction of reality. 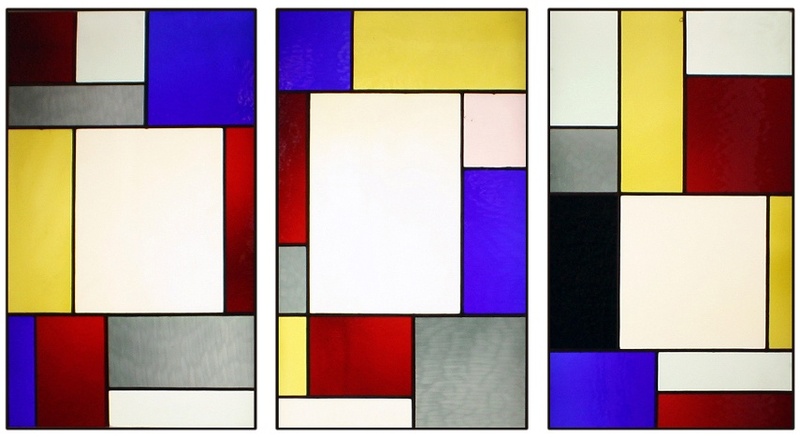 Soon, Theo contacted Mondrian and the two got together. In 1917, them and a few colleague artists founded the magazine De Stijl, a new avant-garde current that had Theo van Doesburg and Piet Mondrian at its helm. Running De Stijl quickly became a full-time job as Theo started to tirelessly promote it across the Old Continent. He moved to Weimar in 1922, deciding to make an impression on the Bauhaus principal, Walter Gropius, in order to spread the influence of the movement. While Gropius accepted many of the precepts of contemporary art movements brewing in Europe at the time, he did not feel that Doesburg should become a Bauhaus master. As a response, heated Doesburg then installed himself near the Bauhaus buildings and started to attract school students interested in the new ideas of Constructivism, Dadaism and De Stijl in an attempt to steal the young bright minds from Gropius. Unfortunately, this was not the only thing that stagnated Theo’s artistic activities. After van Doesburg and Piet both found themselves living in Paris, the two naturally concluded their letter correspondence and started seeing each other face to face. The differences in character became apparent almost instantly – Mondrian was an introvert, while van Doesburg was more flamboyant and extravagant. Soon, the two men had disagreements which eventually led to a professional and artistic split. 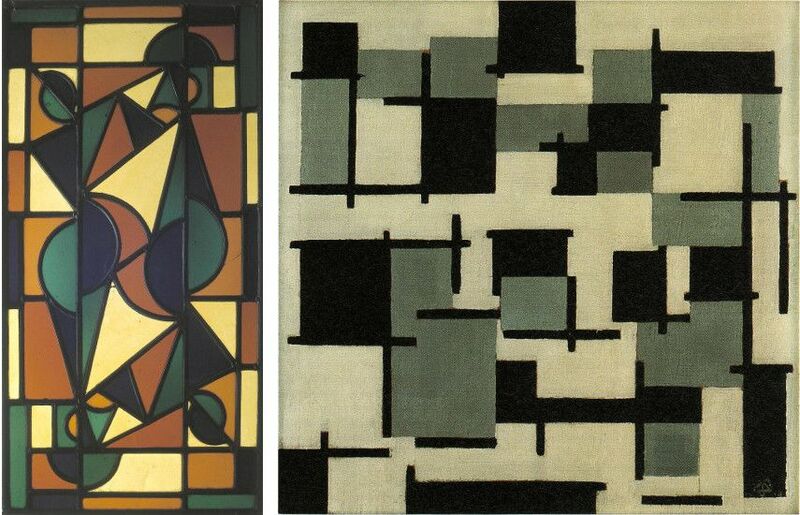 Although there are many reasons why the two artists did not want to work with each other anymore, the primary reason was that Mondrian never accepted diagonals, whereas Doesburg insisted on the diagonal’s dynamic aspects. 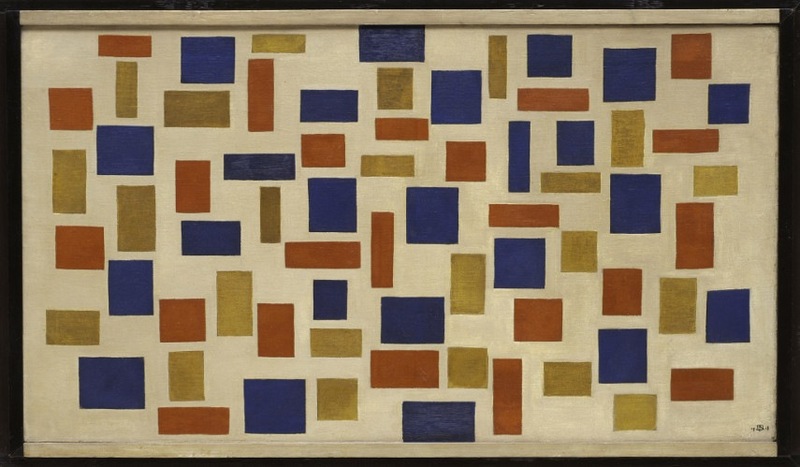 After the split with Piet, Van Doesburg launched a new concept for his art, Elementarism, characterized by the diagonal lines and rivaled with Mondrian’s Neo-Plasticism. Interestingly, the two ex-friends and rivals reconciled when they accidentally met in a café in Paris. Beside working on De Stijl and Elementarism, Theo’s mature career was also dedicated to efforts in architecture as he was often designing houses for fellow artists. He never stopped writing as well. At the end of 1931, he was forced to move to Davos in Switzerland because of his declining health. Unfortunately, van Doesburg did not recuperate – on the 7th of March in 1931, he died of a heart attack. After his death, Nelly van Doesburg released the last issue of De Stijl as a memorial issue with contributions by old and new members of the movement. Van Doesburg’s work is similar to many of his contemporaries who worked within the styles of Constructivism, Suprematism and the Bauhaus school, yet he still managed to leave an impressive mark that still very much echoes throughout the contemporary art world. Unfortunately, due to his uncompromising nature, Theo found himself in the midst of many disputes, like the ones that saw him start competing with the Bauhaus school and the fight he had with Mondrian. 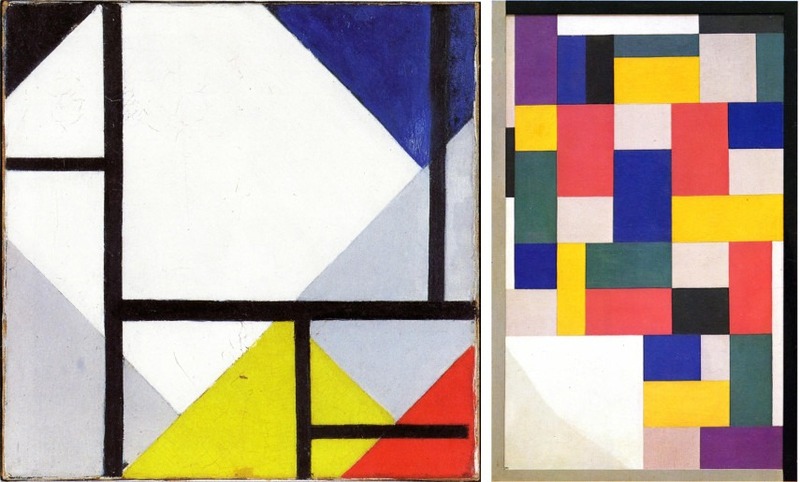 These distractions, combined with the fact van Doesburg died at a relatively young age, somewhat stifled Theo’s impact on his contemporary scene. Nonetheless, his influence remained profound and Theo van Doesburg is now considered to be one of the most important artists who developed the idea of non-representational painting.